Used Audi TT Review - 1999-2006 Reliability, Common Problems | What Car? What should I look for in a used Audi TT coupe? The big problem with the original Audi TT is that it has some big problems. First on the list is the dash pod, which houses the instruments. If the fuel or temperature gauges don't work properly, or there are no lights on the dash, that's a sure sign of problems, so steer clear. Replacements cost several hundred pounds. The front and rear anti-roll bars are also a problem area, so listen for knocking from the suspension on a test drive. Likewise, on early models, check the full ESP package is fitted - ask questions if the ESP button on the dash is missing. Generally, the engines are pretty sound, but experts warn that the air mass meter can go wrong - poor performance, particularly hesitation under heavy load, is a sure sign of possible trouble ahead. What are the most common problems with a used Audi TT coupe? 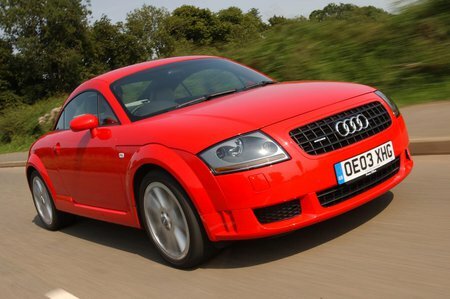 Is a used Audi TT coupe reliable?